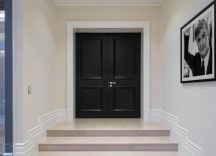 Specialist door manufacturer, Ahmarra Door Solutions have supplied bespoke panel doors for ‘Westbourn’, a newly-built luxury mansion in the Surrey countryside by leading luxury property developer, Hencan. 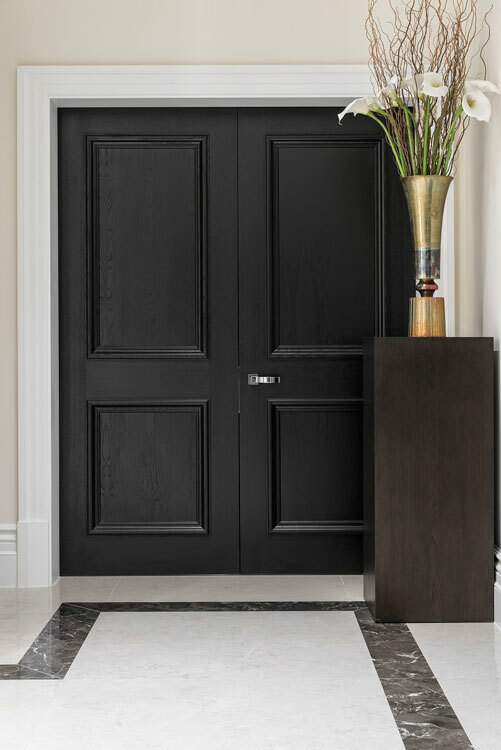 Ahmarra worked closely with the developer, Hencan to select Blenheim 2-panel doors in an Ebony Ash stain from their Artisan Panel Door Collection. 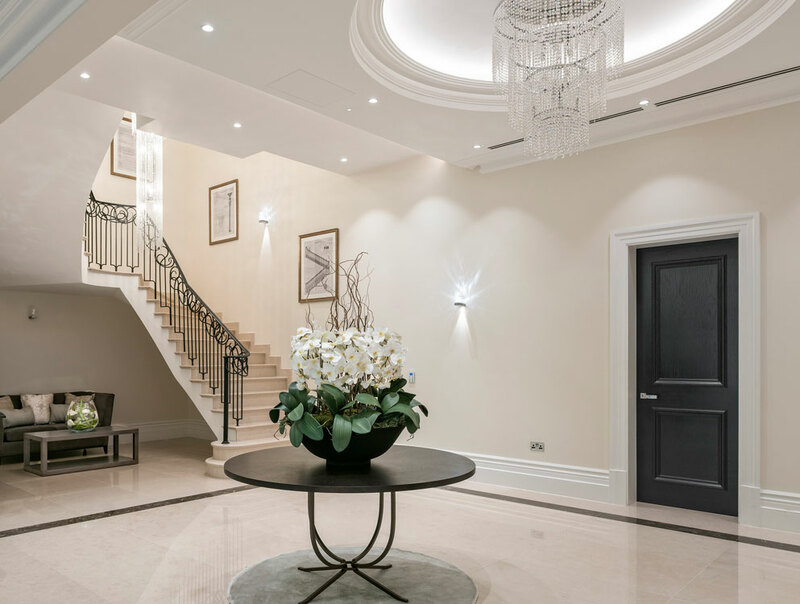 This bespoke range of panel doors includes stunning designs from Ahmarra’s latest projects which have featured in some of the most prestigious residential developments in the UK. The Artisan range has been designed specifically for architects, developers and interior designers working in the luxury residential sector and offers a wide choice of door and panel designs and additional joinery components. 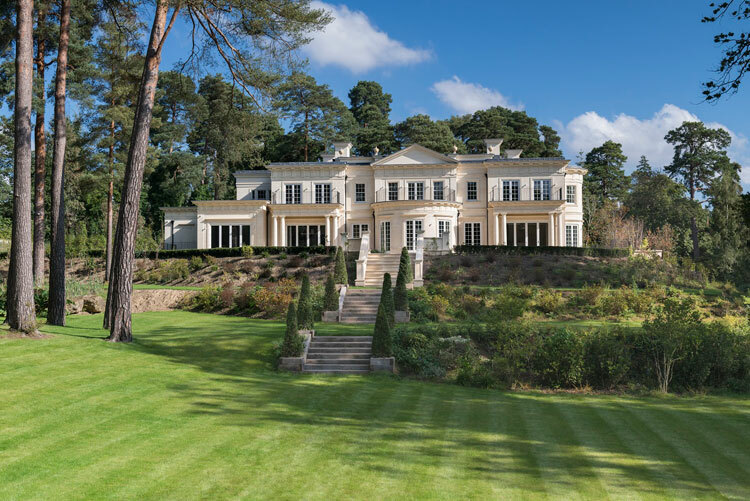 Westbourn is set in four acres of landscaped grounds on the famous Wentworth Estate in Virginia Water. Features include a magnificent entrance hall and a further four reception rooms, It has six substantial en-suite bedrooms and an indoor swimming pool with sauna, spa and gym. The triple garage features a car-lift and turntable with access to a below-ground five car museum. Artisan panel doors have been tailor-made for a number of luxury homes for property developers including Octagon Developments, Berkeley Group, Royalton and St Francis Group, as well as for homes and apartments in some of London’s most prestigious addresses and leading 5-star London hotels. 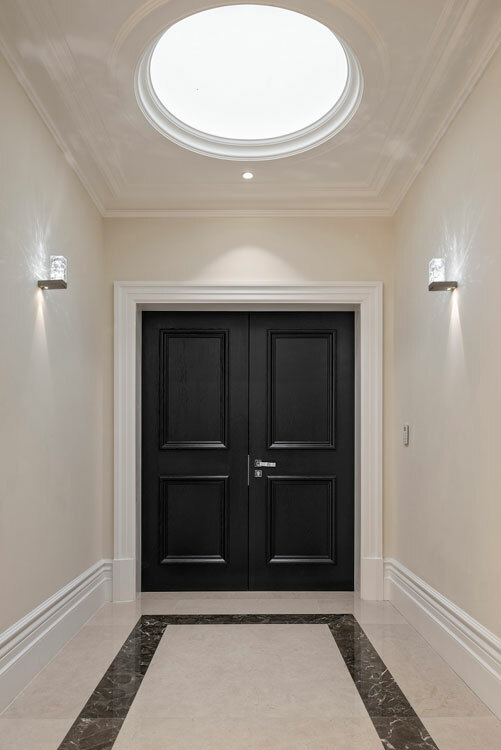 Proud to fly the flag for British craftsmanship, the Artisan Panel Door Collection offers the very best quality in terms of design and materials. 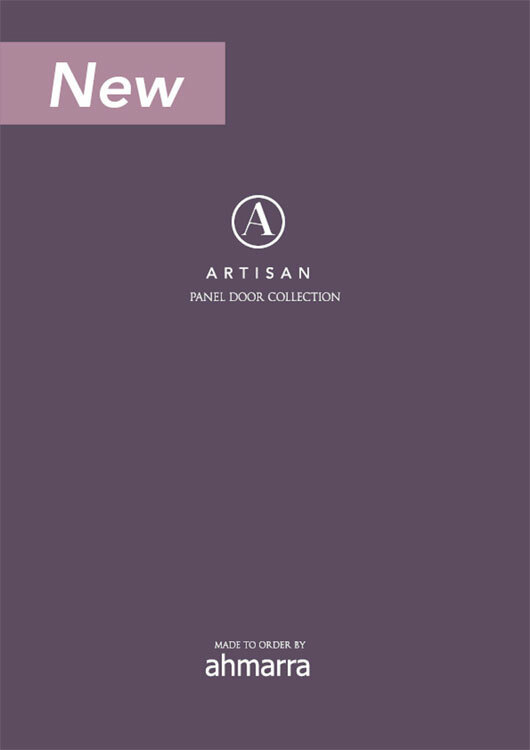 View the ‘Artisan Panel Door Collection’ brochure or browse the online ‘Panel Door Product Selector’ here: www.ahmarra.co.uk or call the Ahmarra sales team on 02392 389076.